A common theme throughout Ama Diaka’s work as a spoken word poet is the challenge of being a female professional artist. As she confronts this challenge in her own life, she has dedicated herself to supporting the voices and livelihoods of other female artists in Accra. Her experience on OneBeat reinforced her commitment to supporting female artists, inspiring her to launch Black Girls Glow, an initiative to foster collaboration among women artists and explore ways that art can build community. In 2016, Ama visited the United States for a OneBeat program focused on Musical Migration, exploring how large movements of people have shaped music and how musicians encourage dialogue, community resilience, and rootedness in situations of displacement and upheaval. The experience involved collaboration with other artists for a month of performances, discussions, and interactive music events. When she returned home, she replicated the OneBeat model with female artists in her own country. She launched Black Girls Glow, bringing six artists, mainly vocalists, from around Ghana for an intensive two-day residency just outside of Accra. During these two days, the artists created new work, using musical exercises such as round robins, soundpainting, and “quick-draw” duos and trios. Ama also secured producers around Accra and hosted the artists to develop and produce the 12-track album Mother of Heirs. 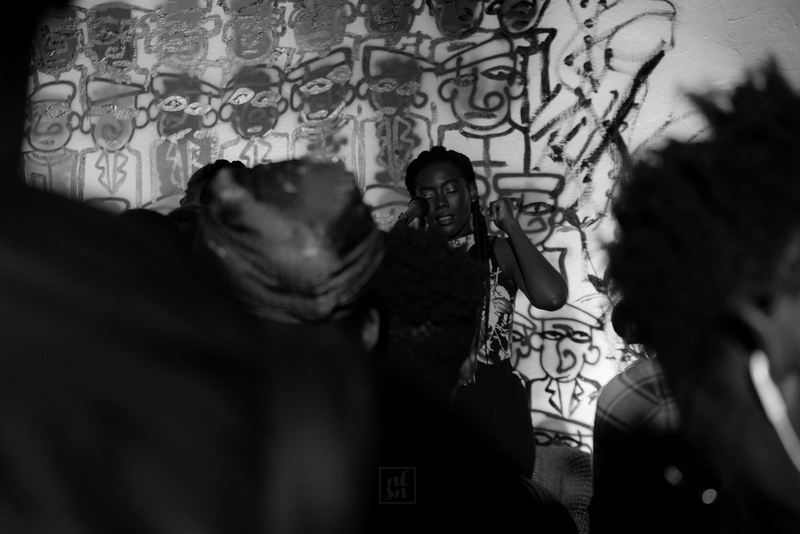 After hosting a listening session for Mother of Heirs in June, where she auctioned off three commissioned, donated pieces of original artwork from local artists, Ama used the funds raised to put on a live performance of the album, bringing together a live set by DJ Keyz, one of the album’s producers, with a five-member band. The concert was billed as one of the best of the year.